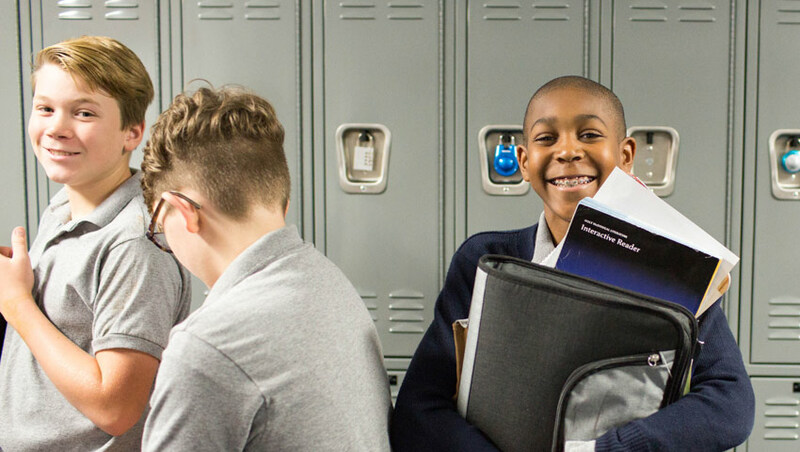 National Heritage Academies is a network of 80+ tuition-free public charter schools serving more than 59,000 students in kindergarten through eighth grade. At National Heritage Academies, success means creating endless opportunities for children to become their best. Our goal is to see every child build the knowledge, skills, and character they need to excel in school and in life. Our college-prep program and moral focus curriculum help your child reach their full potential, prepared to tackle 21st century problems. One of the things that makes our charter schools so unique is the custom school experience created by each local staff. Learn more about our amazing school communities. Charter schools are tuition-free public schools independent from the local district public schools. Like district public schools, charter schools are required to adhere to all federal, state, and local education, health, and safety rules and regulations. If you’re seeking the quality of a private school education without the cost, you’re in the right place. Everything we do comes from a passion to provide our students the best opportunities for future success. This means we hold ourselves to a high standard of excellence, and are always looking for individuals who share this passion. If you have a desire to teach eager minds and shape future leaders, we invite you to take a look at our open positions.